It was a bright and chilly day.... I was busily stitching away in the waiting room of the car service station when up rode a cute little gal with a white hat (well, actually that was her hair) packing her own heat (more on that later). 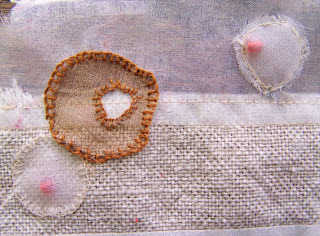 She saw that I was fighting off the frays and arrows of an organza shape with my trusty running stitch. 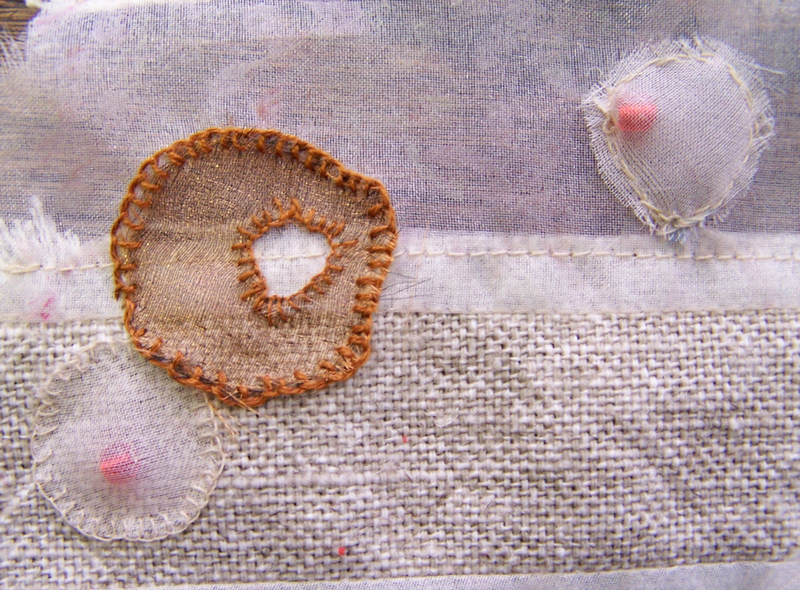 Without much ado, she dropped a button hole stitch into my arsenal. And, as she rode off into the sunset, I began using a loose version of that. Wow! My enemy was defeated! Thank you to that (not) masked woman whose name I never learned.